When her peers were heading off to college, Luria was compelled to be part of something bigger than herself and joined the Navy at 17 so she could give back and help build a safer, stronger, and fairer society for this generation and the next. On her first day in uniform, she was inspired by the Naval Academy’s Mission, to assume the highest responsibilities of command, citizenship, and government. Luria served for 20 years (1997-2017) as a Surface Warfare Officer and nuclear engineer, deploying six times – twice forward-deployed on ships stationed in Japan – conducting operations in the Middle East and Western Pacific on destroyers, cruisers, and aircraft carriers. She earned the rank of Commander and was responsible for Assault Craft Unit TWO from 2014 until her retirement in 2017. This combat-ready unit of 400 sailors provided assault craft to support the U.S. Marine Corps. During her service she organized a Passover Seder on an aircraft carrier. After her retirement, Luria she started a family business, Mermaid Factory, which began as a block of clay on her kitchen table. Since then, Mermaid Factory has created ten jobs in the community, has donated more than $50,000 of its proceeds to charity, and infused more than a quarter of a million tax dollars into the economy. More than 50,000 people have experienced Mermaid Factory by spending time with family or friends, expressing their creativity, and taking home a souvenir of Hampton Roads’ iconic mermaid and dolphin symbols. Mermaid Factory continues to manufacture its products locally and give back to organizations in the community that support youth and the arts. 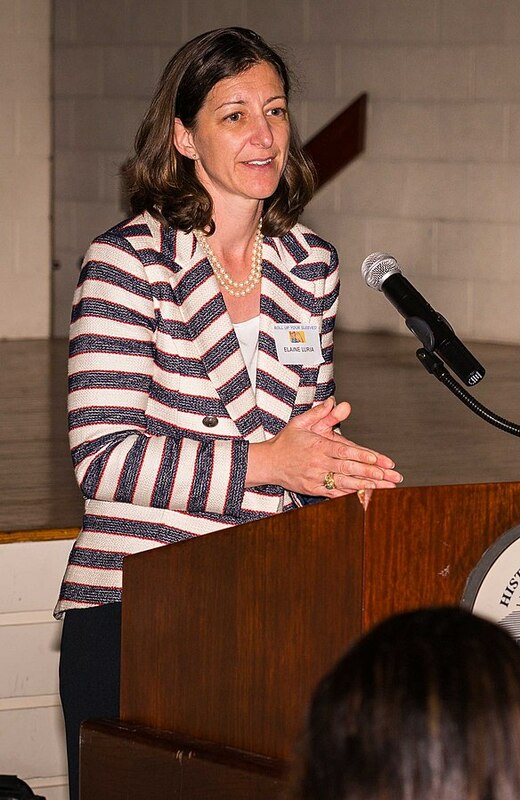 In 2018, Luria ran for the United States House of Representatives in Virginia’s 2nd congressional district, which includes coastal towns and the Norfolk U.S. Navy base. Despite facing long odds, she upset Republican incumbent Scott Taylor by winning 51.1% of the vote. Luria’s husband, Robert Blondin, is also a retired Navy commander who spent 27 years in the service. They have three children and have lived in Norfolk since 2000.